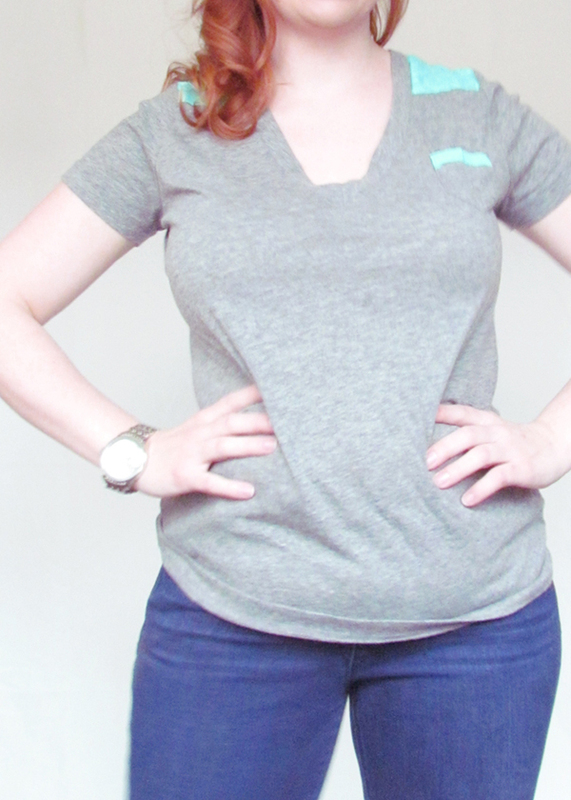 I love how this shirt turned out, probably one of my projects that will get a lot of wear and I love this sea foam green contrast next to the heather grey. This I deem as the Mama Uniform! 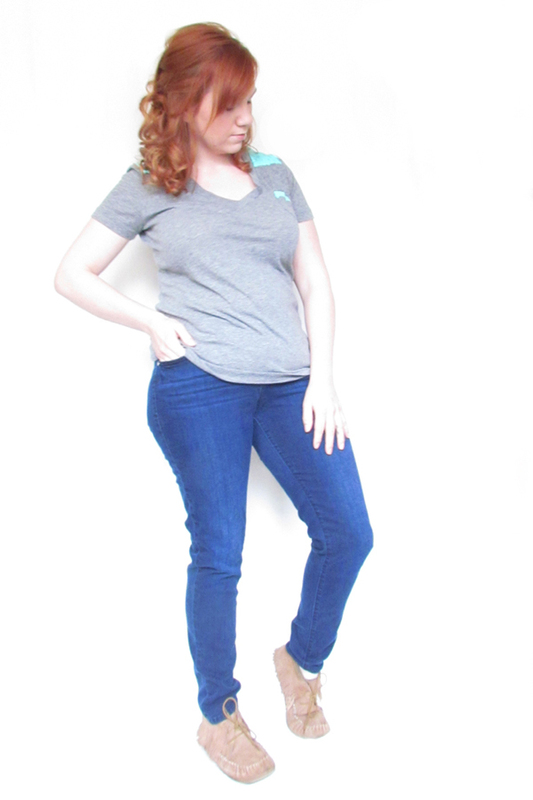 Comfy jeans, a semi fitted tee and my moccasins. Sadly the moccasin craze hasn't caught on that much in Gretna but I'll wear mine proud. 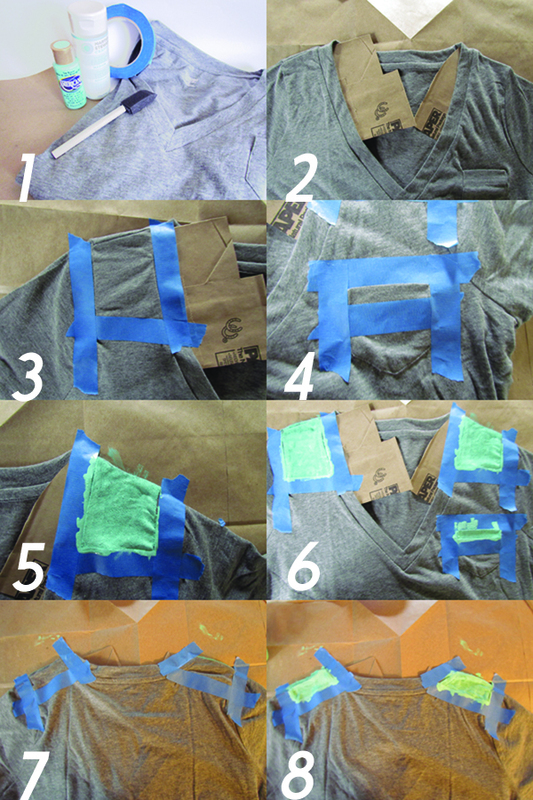 Wanna make your own color blocked tee, click read more for the tutorial! 3/4: tape off your section to get a nice clean line. I chose the shoulders and the top of the pocket. 5/6: mix your mediums 2 parts paint 1 part medium, sponge your paint on. 8: paint 2 coats on back, heat set with the blow dryer. Be careful when you're moving the cardboard around that the paint doesn't bleed through or smudge. It'll be stiff at first but wash & dry it once or twice after 24 hours of air dry and it'll feel less like paint and more like a screen print. Happy Painting!